CAZARE: Posibilități de cazare la Sibiu pentru grupurile de elevi și profesori. Se va anunța. 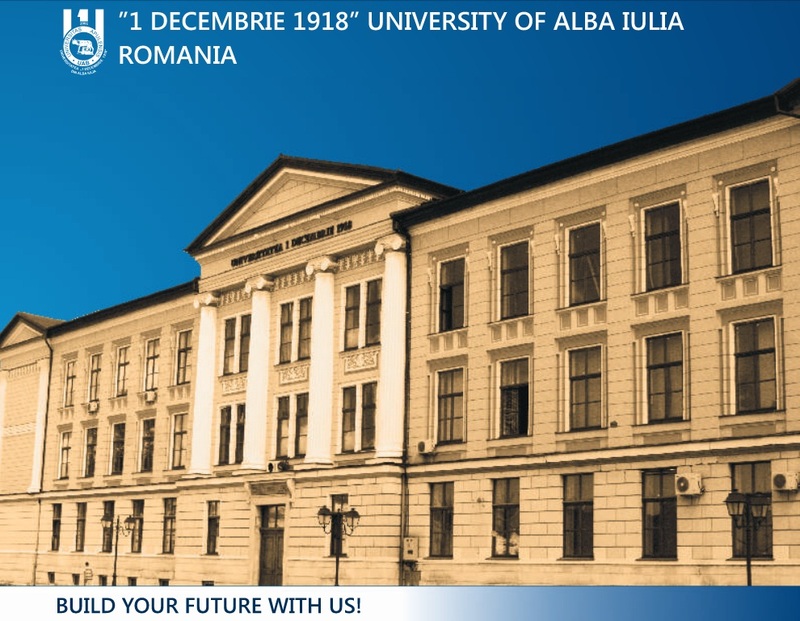 The Faculty of Exact Sciences and Engineering is one of the five faculties "1 Decembrie 1918" University of Alba Iulia, being also the youngest of faculties, established by the HG. 580/2014. The Mission of the Faculty of Exact Sciences and Engineering aims at quality education student centered, scientific and applied research, and a broad opening towards the local and regional business environment. The Faculty currently has approx. 700 students in the day-to-day education classes at the 5 master's specializations: Computer Science, Informatics - English Language, Applied Electronics, Land Measurements and Cadastre, Environmental Engineering and two master's specializations: Advanced Programming and Databases, Systems Information Cadastral and Real Estate Management. One of the oldest settlements in Romania, known in ancient time as Apulum, Alba Iulia served as the largest military and economic center during the Roman occupation. Temples, mosaics, thermae and statues, amphitheaters, the governor's palace "Daciarum Trium" – all rendered the original Dacian Apulul as the miniature copy of the mother Rome. 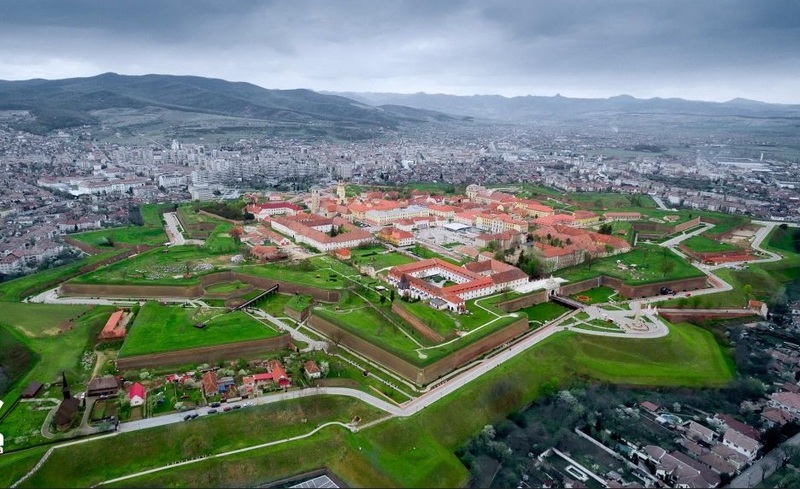 An Episcopal citadel and an important political, military and cultural center, Alba Iulia reached its peak between 1542-1690, serving as the capital of the independent Principality of Transylvania and the residence of the Transylvanian princes. The peasant revolt led by Horea, Closca and Crisan, executed on February 28, 1785 on the Pitchfork Hill (Dealul Furcii) turned the city into a symbol of the fight for justice and freedom. It was here that on December 1st 1918 the province of Transylvania announced its unification with Romania. In 1922 Prince Ferdinand was crowned King of Romania in an act which mirrored the union achieved more than four centuries earlier by Mihai Viteazul. 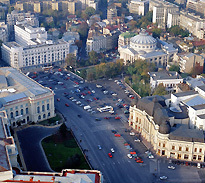 Alba means white and comes from the time when the Slavics called the settlement Belgrade ("White Castle"). Iulia comes from the name of Romanian Prince Gelu (Iulius in Latin) who ruled over the land around Alba Iulia during the 10th century. The Habsburgs tried to impose the name Alba Carolina (Karlsburg) in honor of the emperor Charles VI. In 1918 the town became once again Alba Iulia. In the old town visitors can stroll along the wide, tree-lined streets of the Habsburg citadel, one of the most impressive in Europe, to discover the historical, cultural and architectural places of interest of Alba Iulia: the Roman Catholic Cathedral – the oldest and most valuable monument of architecture in Transylvania., the Batthyaneum Library, the Orthodox Cathedral of the Reunification, the Babilon Building – housing the National Museum of Unification, the Union Hall, the Apor Palace, the Princely Palace, and the University of Alba Iulia. For those interested in natural attractions and outdoor adventures, Alba Iulia is a good starting point for exploring the Apuseni and Retezat parks. The Alba Iulia citadel, designed by Italian architect Giovanni Morando Visconti, was built between 1716 and 1735, using the Vauban military architectural system—the largest of this kind in Southeastern Europe. The fortress is outstanding both for its architectural elements and for the beauty of its six gates, unique in European military structures. Doubtless the artists, sculptors Johann Koning, Johan Vischer and Giuseppe Tencalla, had been inspired by ancient mythology. Alba IuliaAbout 7.2 miles of ramparts made of brick and quarry stones form a seven-point star shape with seven bastions (Eugene of Savoia, St. Stefan, The Trinity, St. Michael, St. Carol, St. Capistrano and St. Elisabeth) guarded by six monumental gates. The gates, valuable samples of early baroque style, have served as a model for 18th century Transylvanian architecture. The railways station is located about a mile southeast of Alba Iulia Citadel.